We’re now at the halfway point of the readathon! 2. How many books have you read so far? Just one. I finished Cress by Marissa Meyer. It’s a chunkster and I barely started it before the readathon. I’m so proud of myself. 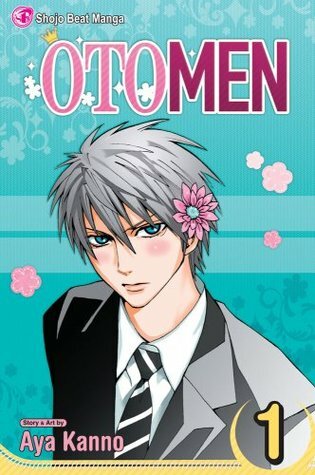 Piper has finished two books: Otomen #1 and 2 by Aya Kanno. Oliver finished his Lego comic book and is now making rubber band bracelets. 3. What book are you most looking forward to for the second half of the Read-a-thon? That’s a good question. It’s probably Anansi Boys by Neil Gaiman. 5. Have you had many interruptions? How did you deal with those? No interruptions. 6. What surprises you most about the Read-a-thon, so far? I love the effectiveness of the cheering lists this year along with the ease of cheering. Great job, Heather and Andi. The cheerleaders are doing a fantastic job! 7. Do you have any suggestions for how to improve the Read-a-thon next year? Nope. 8. What would you do differently, as a Reader or a Cheerleader, if you were to do this again next year? Nothing! 9. Are you getting tired yet? Surprisingly no. It may help that I just made another pot of coffee. 10. Do you have any tips for other Readers or Cheerleaders, something you think is working well for you that others may not have discovered? Just have fun. You and Piper are both doing great! I read Marissa Meyer’s SCARLET during last April’s Readathon and found it soooo readable. I hope CRESS was the same. So fun that your family is involved! Enjoy the rest of the readathon! I’m drinking some coffee too but just so that I don’t fall asleep at 8:00. Lol! Too funny 🙂 I hope that you are having lots of fun! Happy Reading! Great progress so far — keep up the good work! I am REALLY proud of what Heather has done with the cheerleading, and that stroke of brilliance goes wholly to her. .lol She worked her patoot off on that spreadsheet. I’m glad it seems to be working for everyone. I’m glad we cut off the cheer-for-me sign-ups when we did or we’d be dead in the water with 800+ readers! OMG! THANK YOU THANK YOU for being with us, Natasha! I totally want to read Running lIke a Girl. Hopefully you’ll review it when this whole thing is over. Good luck and keep strong. Otomen looks interesting. Just have fun is good advice!